Instrumental rock music of a few different stripes. Charnel Ground's debut LP was recorded in Brooklyn, NY and features James McNew (Yo La Tengo) on bass + organ, Kid Millions (Oneida/Boredoms etc) on drums, and Chris on electric guitar. Included with the LP is a download code. 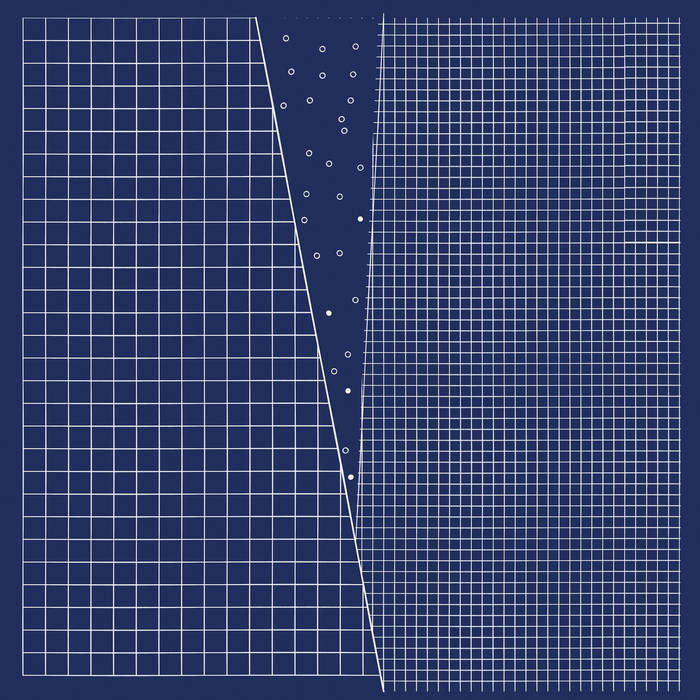 Read reviews at Spin.com ("Charnel Ground’s real treasure is its 18-minute album-closing title track, the kind of elegantly sprawling feedback jam that often crops up near the end of a Yo La Tengo album. Brokaw plays with real tenderness as McNew and Millions patiently keep time behind him—a reminder that improvised noise rock, when played well, is fully capable of touching your heart as well as melting your face. "); Dusted Magazine; and Doom and Gloom From the Tomb. LP: $20 postagepaid (US), $32 (CANADA), $40 (WORLD). Chris' new CD features classical guitar interpretations of David Bowie and Prince songs. It was recorded by Claudia Groom October/November 2016 in Seattle, Washington, and mastered by Matthew Barnhart in Chicago, Illinois. It was released November 28, 2017, on Capitan Records. Track list: ASHES TO ASHES, THE MAN WHO SOLD THE WORLD, I WOULD DIE 4 U, LADY GRINNING SOUL, CONTROVERSY, MODERN LOVE, ANDY WARHOL, UNDER THE CHERRY MOON, WHEN YOU WERE MINE, LETTER TO HERMIONE. CD: $12 postagepaid (US), $14 (CANADA), $16 (WORLD). "CANARIS" reissue/remaster on Omentum Records. 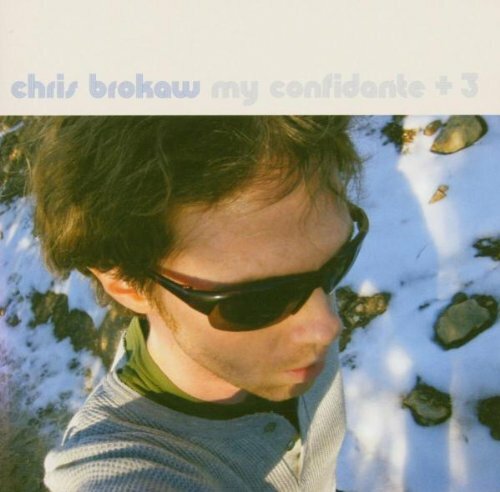 This is an LP reissue of Chris' 2008 CD. Released December 9, 2017. Available in GOLDENROD or BLACK vinyl, please specify. New art and liner notes by Steve Lowenthal (VDSQ) and Wlad Drakkstein (Vlad Tepes)! LP: $25 postagepaid (US), $35 (CANADA), $45 (WORLD). 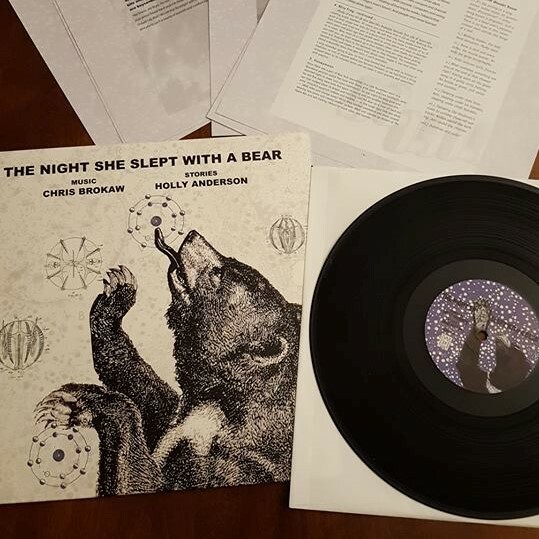 In 2010, New York poet and master of flash fiction and mesostics HOLLY ANDERSON sent me a pdf of her newest magnum opus: THE NIGHT SHE SLEPT WITH A BEAR. I was dazzled by the text and offered to write a score. I spent the next year writing and recording 35 pieces of instrumental music - a soundtrack to a book - and the collaboration was released in 2012 by Publication Studio of Portland, Oregon as a book and cd. Forward to 2017, and Jellyfant Records of Oberhausen, Germany is completing a new issue as a vinyl lp with 12 pages of text and images in 12x12 sheets, designed by Susan Archie and Caroline Beasley-Baker. Looks like this will be coming out in the world in January 2018, but I have a handful of copies (ten!) for sale now. Comes with download. I would count this as one of my proudest achievements...one of my favorite collaborations with one of my very favorite artists. LP with 12 pages of text + download card: $25 postagepaid (US), $35 (CANADA), $45 (WORLD). Chris and Geoff Farina (ex-Karate) have been performing together since 2006. Like their first album, "THE ANGEL'S MESSAGE TO ME," this new record is comprised primarily of blues songs for vocals and two guitars. This LP is produced by Landland. It includes both a record and a download card. 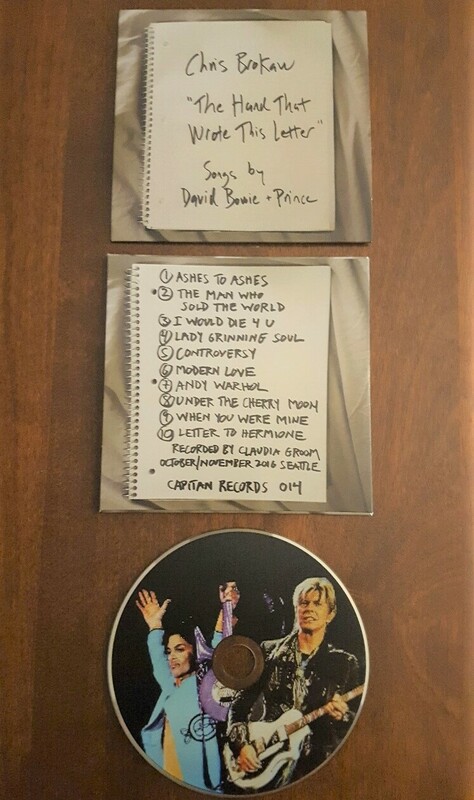 It is a special tour version produced for Chris and Geoff's April 2016 house concert tour, with artwork by Dan Black exclusive to this pressing. Numbered edition of 125. Read about the album at Landland, and listen here. “The first time I listened to side one of the test pressing of ‘The Periscope Twins’ I was at my friend Doug’s house in Chicago. His wife Kiki came downstairs and said, ‘Are they doing work again next door?’ I said, ‘No, we’re listening to my new album’. She paused, and utterly nonplussed said ‘Oh’, and walked into the kitchen. “The Periscope Twins” is 90 minutes of music on two vinyl albums. It was released on 12XU Records in March 2015. It includes 4-color picture sleeves and six photographs by Chris. 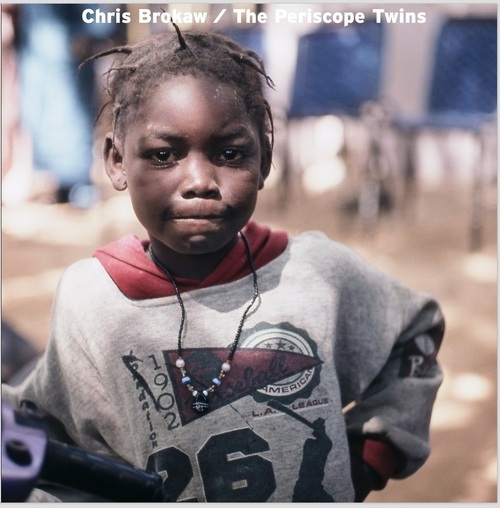 The cover photograph was taken by Chris in Bamako, Mali. Includes download code. Listen to Side C, 'Skating Under Glass, Living Like a King'. LP (double vinyl): $25 postagepaid (US), $35 (CANADA), $45 (WORLD). 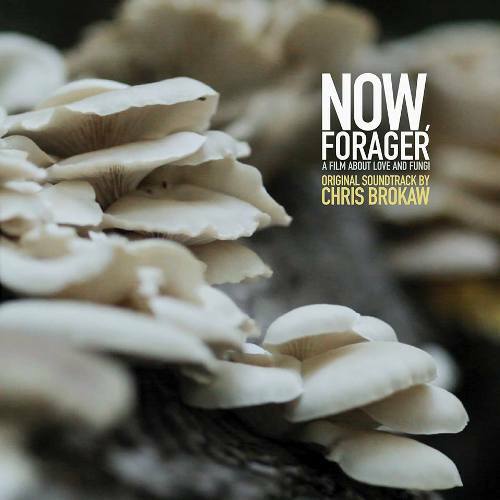 LP to the feature film "NOW, FORAGER," the story of love, mushroom foraging, decay, and renewal. The 22 tracks include 14 written for the film, 3 older Chris tunes chosen by the directors, and 5 outtakes not used in the film. Listen to excerpts. Released April 15 2014 on Dais Records. 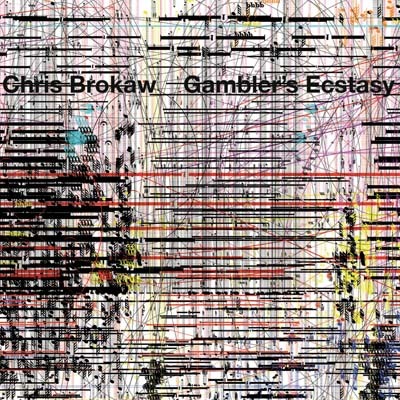 Chris' long-awaited rock album "GAMBLER'S ECSTASY" was released October 2 2012 on 12XU (US), Damnably (Europe/UK) and After Hours. CD: $14 postagepaid (US), $20 (CANADA), $25 (WORLD). 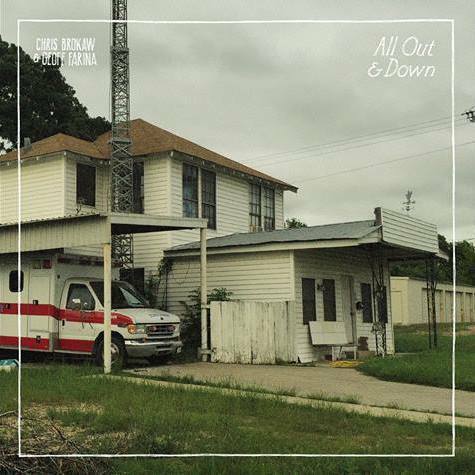 Chris B meets Geoff Farina (Glorytellers, Secret Stars, Karate) on a collection of pre-WWII acoustic country blues. Digipack CD on Capitan Records, released May 18, 2010. Songs include "Stagger Lee," "In the Evening," and "Make Me a Pallet on Your Floor." 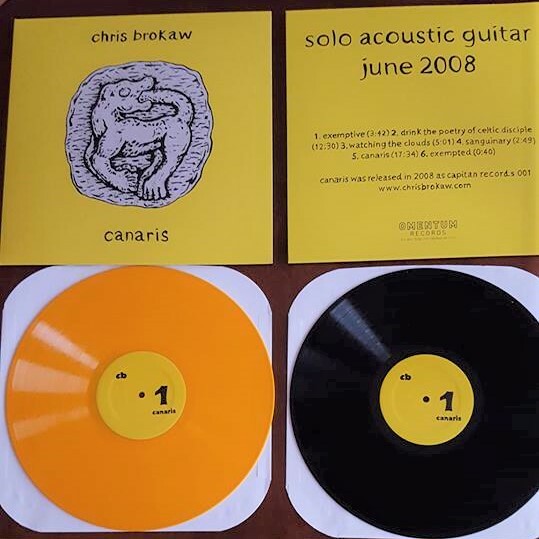 Solo acoustic guitar, recorded June 2008. 6 songs, 42 minutes; contemplative and apocalyptic. Features a 13 minute Vlad Tepes cover and the 18 minute drone/feedback title track. Read about it at Time Out New York, The Chicago Reader, Delusions of Adequacy, and Lazy Comet. Released on Chris' new label CAPITAN RECORDS, distribution and digital MP3 download by THRILL JOCKEY in the US and Canada. 2004 release on 12XU RECORDS, out of print. We found a box of these over at Matador, who knew. Full band versions of unreleased tunes by Liz Phair, Thalia Zedek, and Holly Anderson/Lisa Burns, plus Chris' title track. Co-release by 12xu and Kimchee of Chris' first solo lp from 2002. 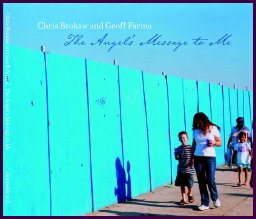 Said Time Out London: "Chris Brokaw's heritage is so impressive he should really have his own coat of arms...RED CITIES, an astonishingly potent brew of guitar and percussion...[creates landscapes] ravaged but beautiful beyond belief, reflecting both the dark, blues-strung grief of Come, and the lean-lined, horizon-fixed heft of Codeine." Read more reviews, plus Chris interviews. All prices are postagepaid and include shipping and handling. Questions? Email Chris at redcities2002@yahoo.com. 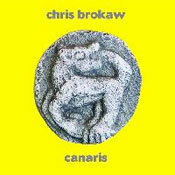 You can also pick up many of these CDs, LPs, and cassettes at any Chris Brokaw performance.